Healthchat helps Health Systems communicate faster, operate more securely, and save substantial costs. From urgent care to post-surgical follow-ups, Healthchat enhances existing workflows through faster and simpler communications. 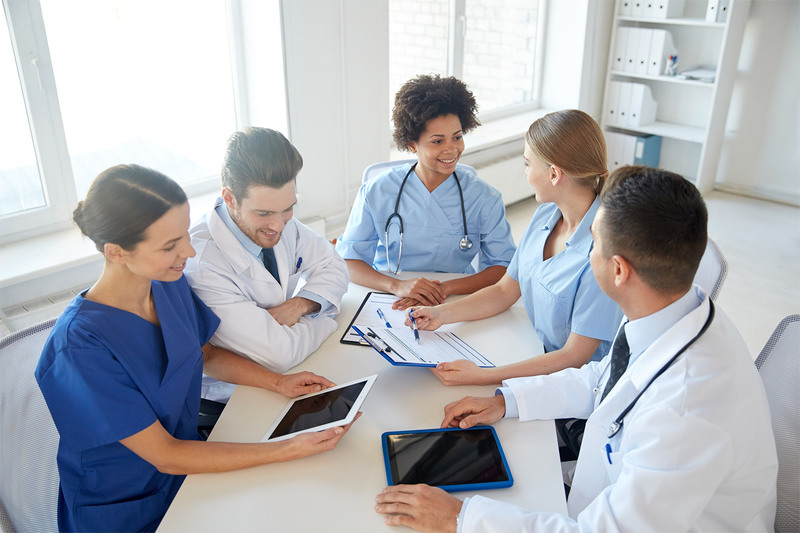 By tying together the unique communication needs of Health Systems with HIPAA compliance and privacy, Healthchat enables customers to improve operational efficiency, patient engagement and expand the way care is delivered. Attract and process more patients per day while freeing up doctors and medical staff. Extend your services by allowing patients to connect with you from anywhere. Integrate your EHR software with our Simple API® and be up and running in no time. Implement doctor-doctor-nurse communications. 3X faster than texting alone. 75% more accurate. 1: An advantage of using Healthchat is that messages can be easily integrated and customized with existing Applications and EHR Systems such as EPIC, CERNER and ATHENAHEALTH. 2: It complements the existing workflow and schedule of doctors and care managers, while maintaining accountability and compliance. 3: Extend your services without adding staff, setting you apart as technologically advanced with patient-centric practitioners. Healthchat delivered a communications solution that is tailored to our unique requirements for telemedicine and provides an incredibly efficient way for our doctors to connect with each other.